In 1978 Walter Bruggemann gave us the Prophetic Imagination. It is time in 2010 that we explore the Primitive Imagination. My goal here is not to thrash the contributions of a secular world-view but to illustrate and affirm the primitive imagination of the Early Christians. I use ‘primitive’ without an evolutionary framework and with keen sense that we have much to learn from the indigenous imagination. And, like Bruggemann, I use the term “imagination” not to say “fictitious”. Rather, I suggest that by the term “imagination” we account for and honor a multitude of metaphysical perspectives on reality written within the history of humanity. 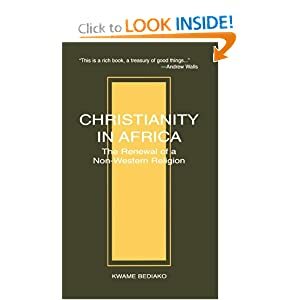 Could it be true that our African brothers and sisters might have an angle on understaning the Early Christians than we European descendants?